In January, a group of women in the Columbus, OH area came together to discuss the latest news regarding the policing of tightly coiled hair. In the case of US District Court 11, the court tried to simplify the issue of tightly coiled hair into 2 buckets. 1) Those that choose to style their hair 2)Those that don't. It's not that simple for women with tightly coiled hair. When it comes to styling tightly coiled hair, there's a lot to think about: cultural implications, cultural norms/ acceptance, chemical exposure, to comb/not to comb, the weather, the barometric reading, the season, the temperature. It's a huge, because tightly coiled hair is sensitive to everything and highly fragile. Nevertheless, according to the 11th District Court, which governs Florida, George, Alabama, all hair can be changed (mutable) and it's simple: If an employer has a policy in their handbook against locks in either of these three states, a person with Dreadlocks can legally be discriminated against and not hired. To a person with tightly coiled hair, hair is culture and identifies us as part of a protected group (Title 7 Act of 1964). Our hair texture is even protected by this Act! However, To this court our hair is a 'style' and not protected, therefore free to be discriminated against. I will say it again, our hair texture and hairstyles are one and, to us, represents our culture. Culture is who we are, our identity. Because of its' uniqueness, our hair identifies us as a part of a shared tribe or cultural group. As little girls, cornrows, pigtails and braids identify our place within our community. As teenagers, we begin to allow our hair to break free of protective styles, signifying to the world that we are growing into womanhood. This transition signifies self-care, versus dependent care. As tough as it looks, tightly coiled hair is the most fragile hair there is on the planet, characteristic of the minimal cuticle covering (only 10% if that of protein coating the hair) and 90% cortex, full of bonds that release from wind, air, water, stress). Those with 'knotty hair' eventually learn that experimentation and letting tightly coiled hair out quickly leads to damage, shortening the hair, making it more fragile. At this juncture in the transition to womanhood, a decision is made; however, the knowledge to healthy knotty hair is often slim to none in a society that focuses on blond and straight as the standard of beauty. Some will seek to identify with the dominant culture and add caustic chemicals that are poisonous (Sodium hydroxide) to the body, some will revert to braided styles of childhood, some will remain chemical free and alternate between protected/braided styles and others will take a plunge towards locks, opting for a permanent protective style that is culturally beneficial to protect the fragile chemical structure of tightly coiled hair. Our discussion in January required 'sequestered time' away to delve into comprehending why a court would take the time to legalize racial bias and discrimination against those of us already subjected to the heavy burden of figuring out what to do with our fragile hair. Since birth, our hair takes an enormous amount of thought, planning, grooming, styling for us always to come to a dead-end place to either embrace our hair with styles that embrace our hair texture via cultural norms or reject our culture/reject ourselves/ reject our hair. This decision of acceptance or rejection does not impact any other ethnic group but us. 1)When it comes to your lock journey, what name do you call your locks? Each panelist shared a new perspective and message of empowerment to one another and guests centered around the decision of US District Court 11 employment ruling. Other news updates discussed: Military policy updated allowing members to wear locks as of January, 2017; other employment updates with Norwegian Cruiselines; steps to protect yourself if locked and faced with employment bias. In this atmosphere that rejects ethnic identification, there was plenty to share. As sisters in Ohio, not impacted by US District Court 11, which rules Florida, Georgia and Alabama, we stand in solidarity with those that do share a zip code in these states. What was once thought to be an inalienable right, has become a platform to self-identify in an unfriendly political climate that intentionally polices the bodies of those born uniquely in God's 'alternative' image. If the dominant culture can understand that our hair is not a threat to their existence, maybe we can win..some day. For now, stopping this ruling from becoming a precedent elsewhere is the goal. 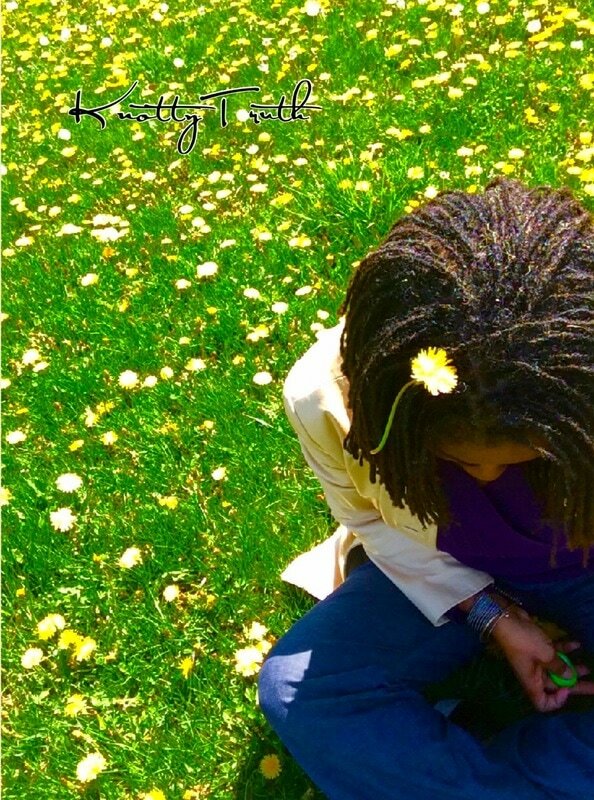 ​The Knotty Truth Series of Books can be purchased online at various outlets including Amazon.com or Createspace.com.